NRG Shift Knob - S2000 Style UNIVERSAL - Dezod Motorsports Inc - Home of the automotive performance enthusiast since 2002. 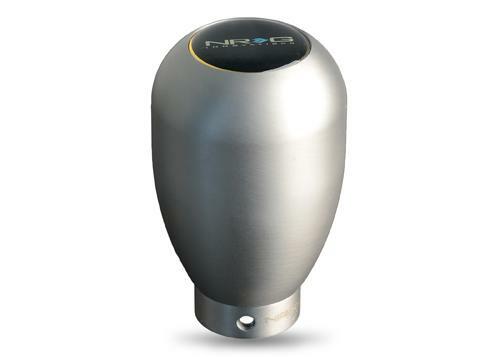 The NRG Shift Knob – S2000 Style improves the overall look of the interior of the vehicle while providing some performance gain. The revolutionary S2000 shape of the knob is ergonomically correct and proven on the street. Weighted aluminum construction improves shifting by increasing inertial weight in order to allow shifter to more smoothly and quickly engage into the gear box.